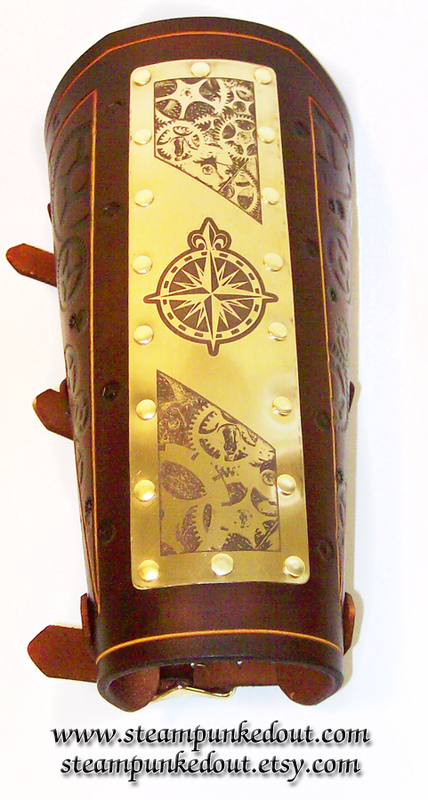 The Etched Bracer is much like the Tooled Bracer in design, but with a 2" X 7" brass plate riveted to the top. 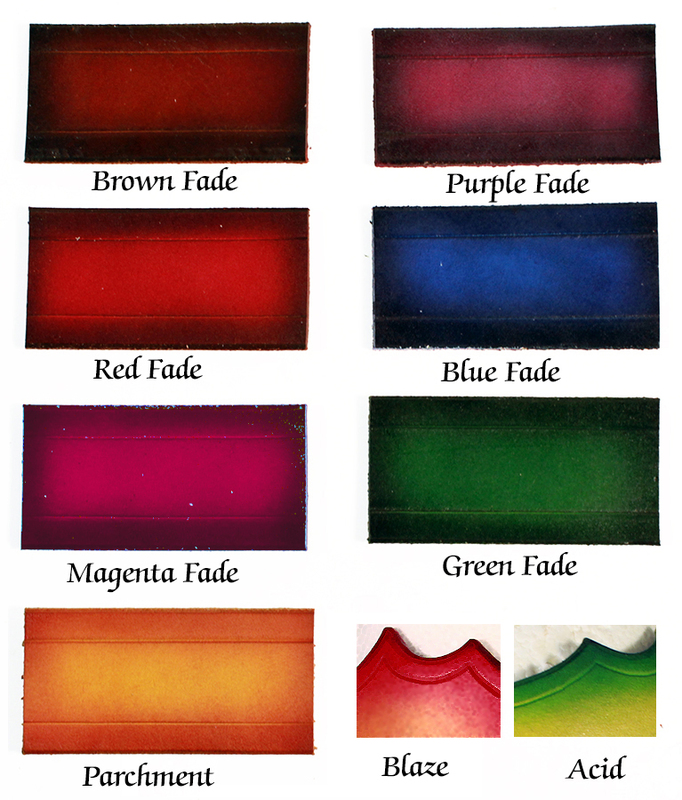 Choose a design to have chemically etched on to the plate, or download a template and send me a custom design. 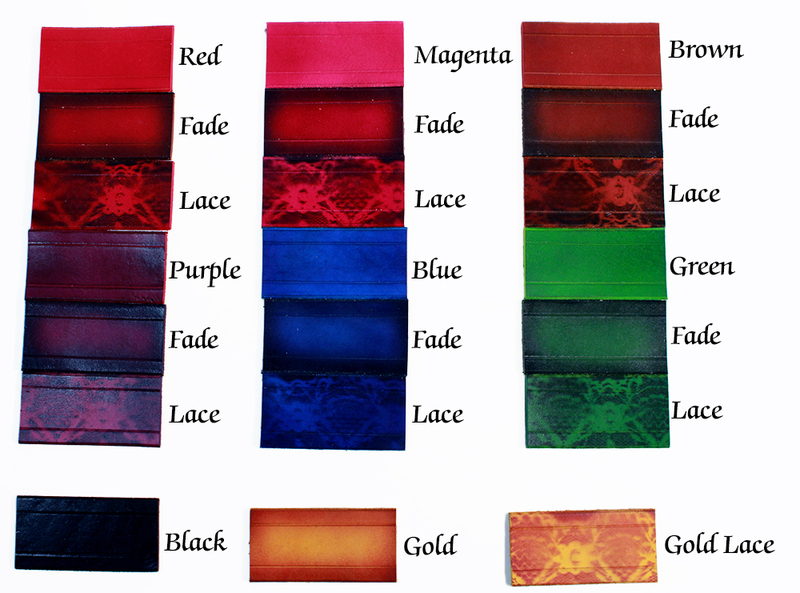 **All sample etching designs above have a simulated brass background to better approximate the look of the final product. 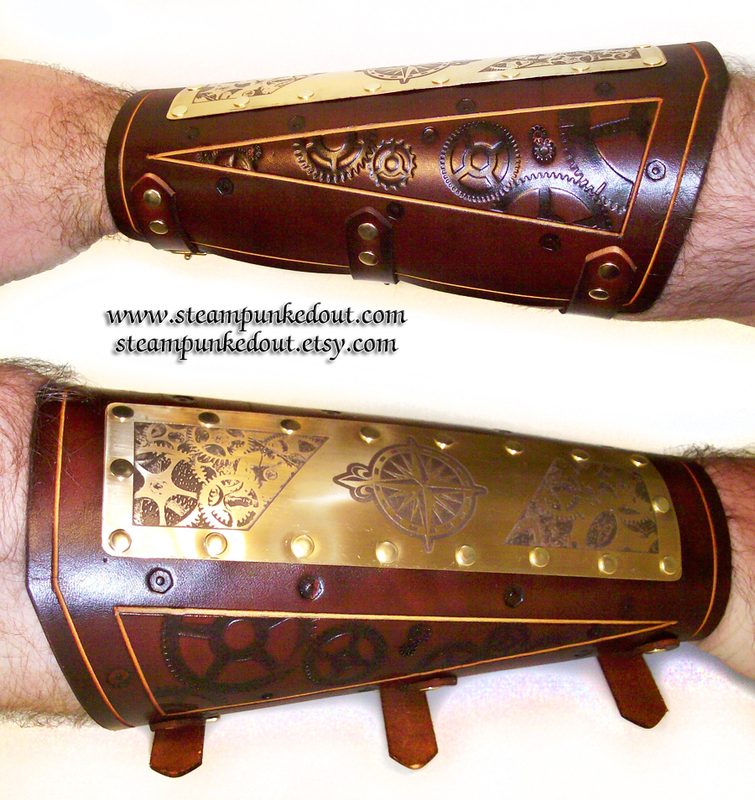 ** Like the other bracers, the Etched Bracer is made from 7oz leather and can be finished in your choice of color. 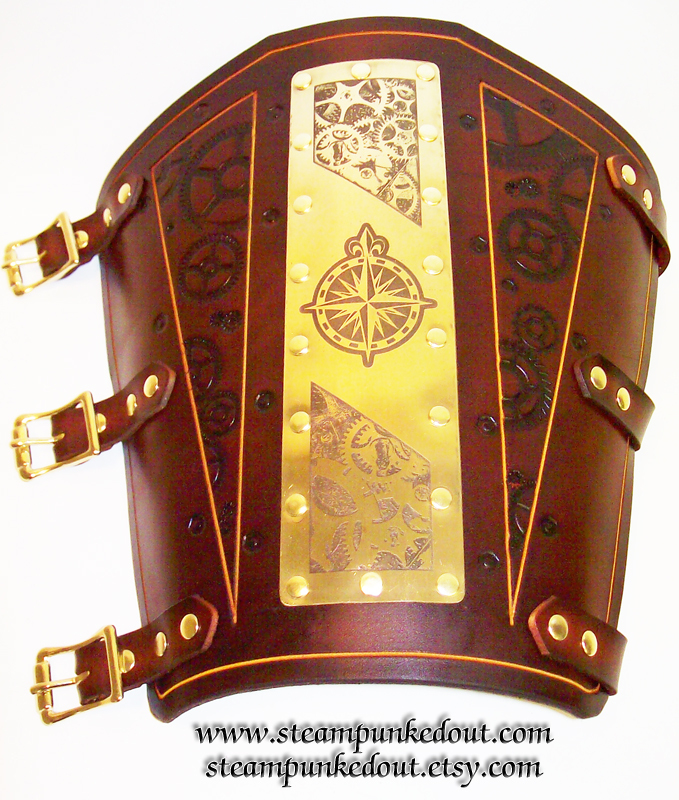 Buckles and rivets available in brass or nickel plate. For custom designs, download other template you desire and add you design. Be sure the design is a high contrast black & white design. 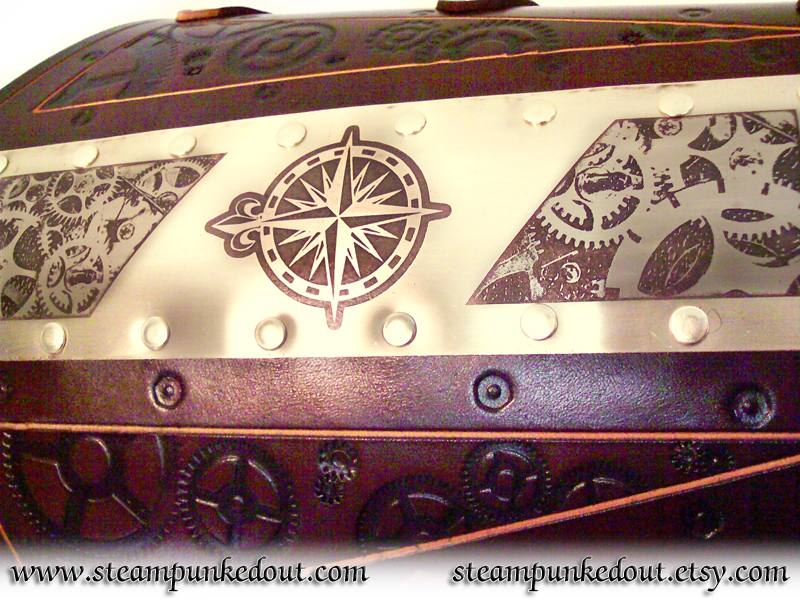 Email it to sales@steampunkedout.com with "Etching Design" as the subject. I'll review it and let you know if there are any changes to be made. 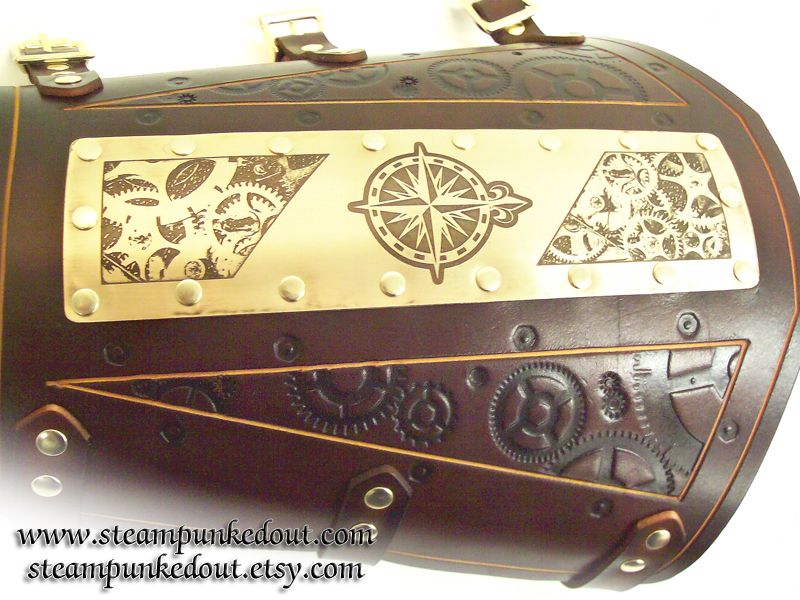 If you'd like me to make a custom design for you, please contact me before ordering. 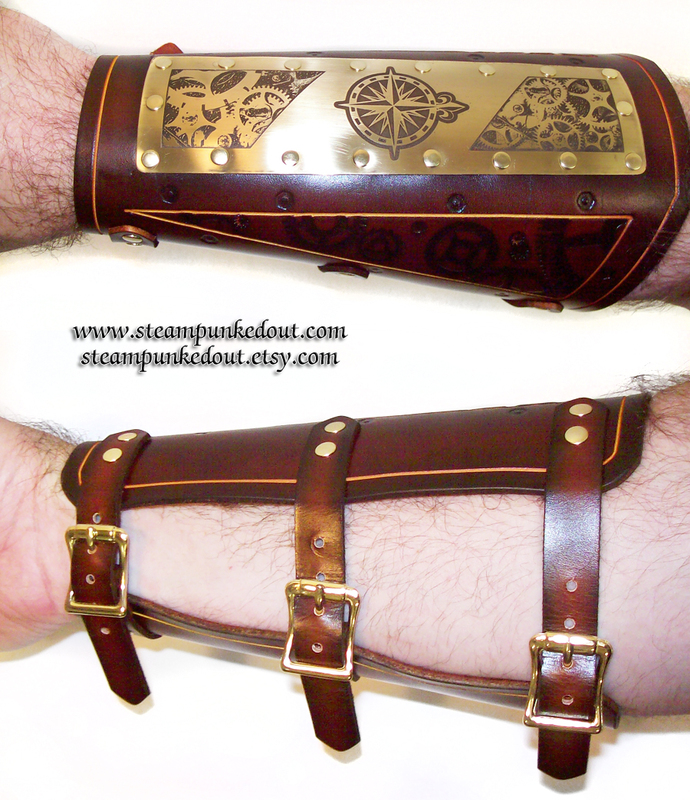 The price for the custom bracer listed if based on the customer supplying the artwork. 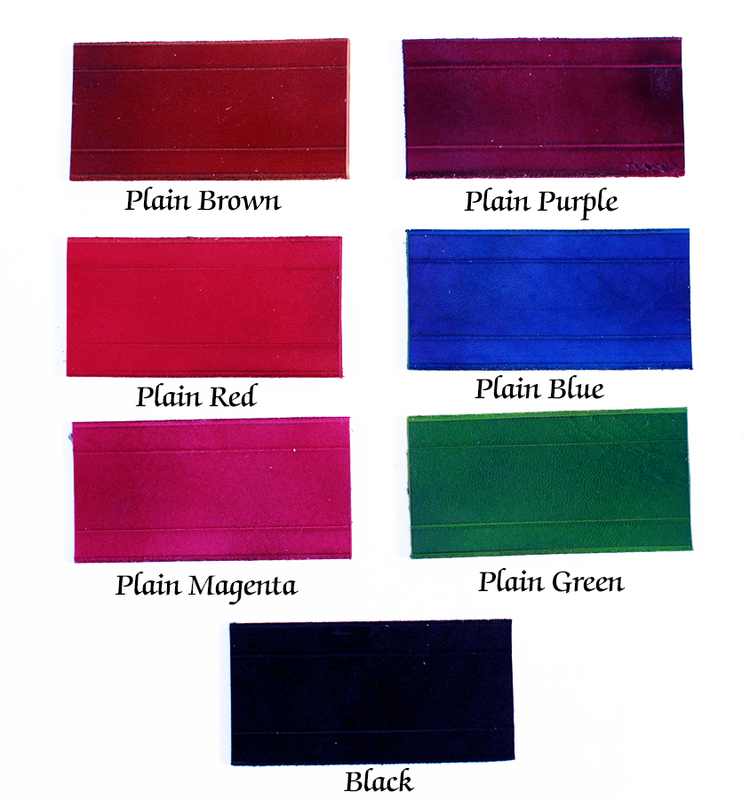 There will be additional charges for me to do the artwork for you. Prices will be based on how complicated they are and labor hours to complete. 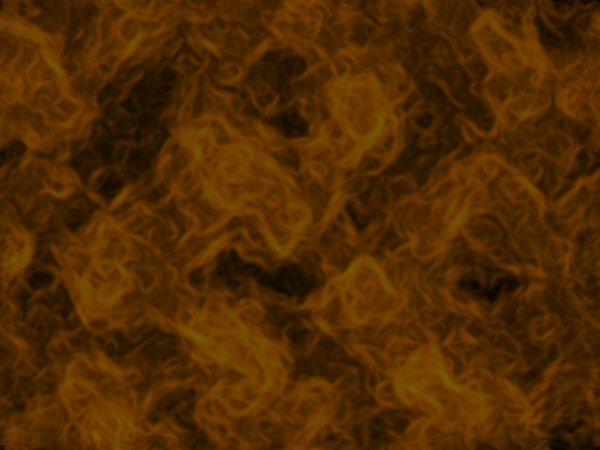 Be sure to email all designs in 300 DPI, and do not change the size of the image.